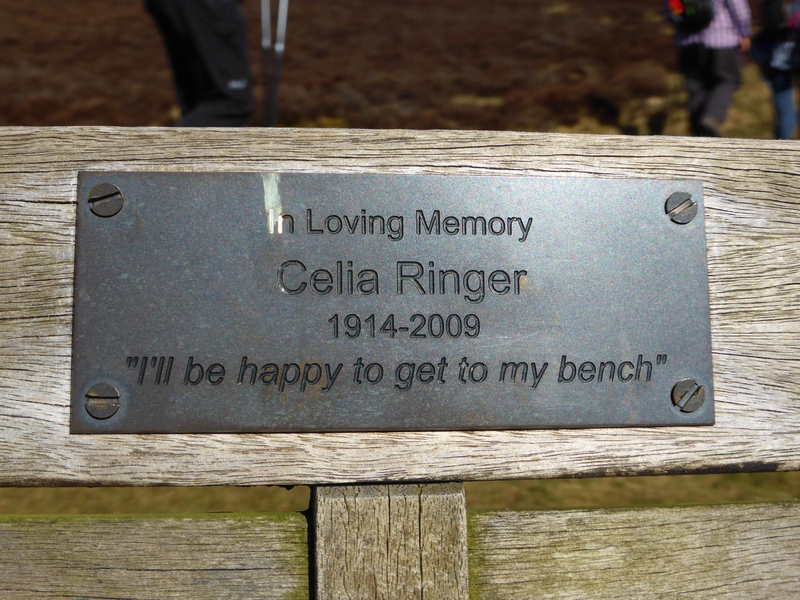 On the same sunny spring day on Ben Vrackie as the previous post I found this memorial bench to Celia Ringer and the dedication made me smile. I expect she often set off on this walk and would say, ‘I’ll be happy to get to my bench’. If she managed to do this in her 95th year that would have been quite an achievement, as Ben Vrackie is a steep walk and I wish I could have met her as she walked up here. Thanks to those who cared about her, Celia Ringer’s words will be remembered. 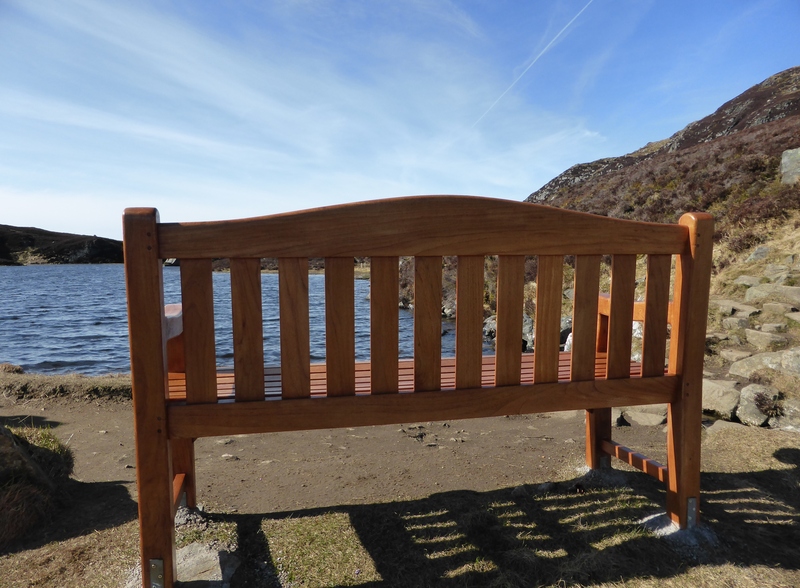 The bench is in a beautiful viewpoint and I sat here a while resting and taking in the scene. We decided to use the bench as the place to take a family photograph as a gift for my Dad’s 80th birthday and so the four of us (me, my partner, our son and our daughter-in-law) posed and smiled while a friend took the photographs. 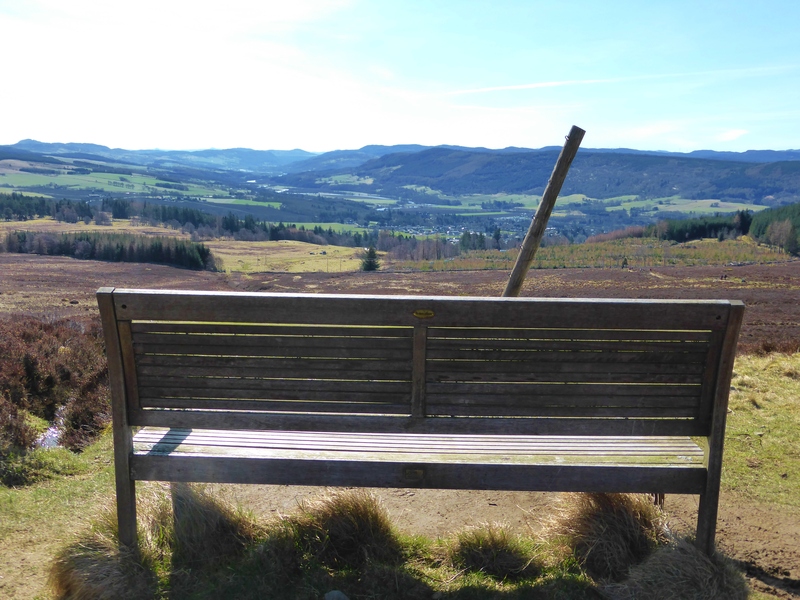 It was a perfect spring day when a group of six of us walked up Ben Vrackie above Pitlochry in Scotland. There was still snow on the top of the mountain but on the lower slopes we were warm and it was pleasant to stop and rest on the way. 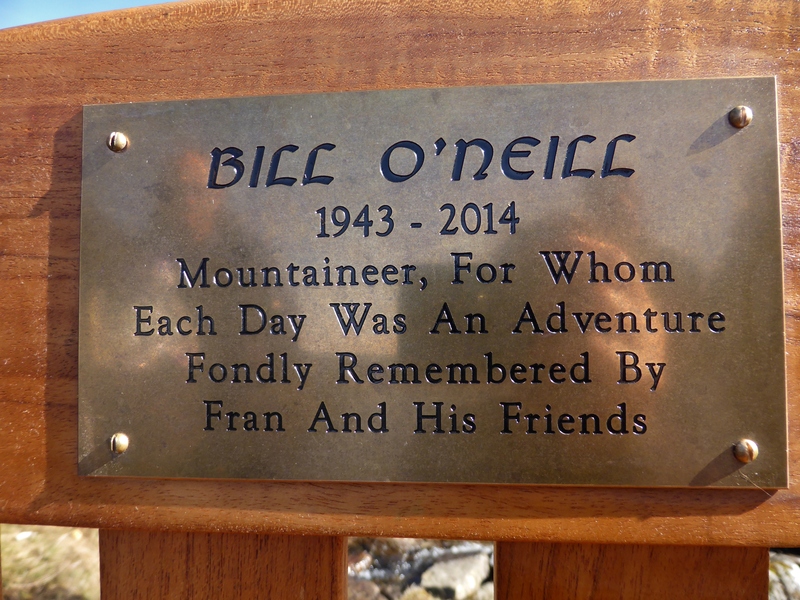 I found a couple of memorial benches that caught my eye on this mountain, including this one to Bill O’Neill; I certainly liked the sound of a person who treated each day like an adventure. An obituary in The Herald told me that Bill O’Neill died suddenly while climbing in the mountains above Pitlochry on Sunday 23 March 2014. This was just a little over 12 months before we were walking up this fine mountain. The obituary paints a brief but colourful picture of a man of many parts, ‘medic, mountaineer, philosopher, joker’.